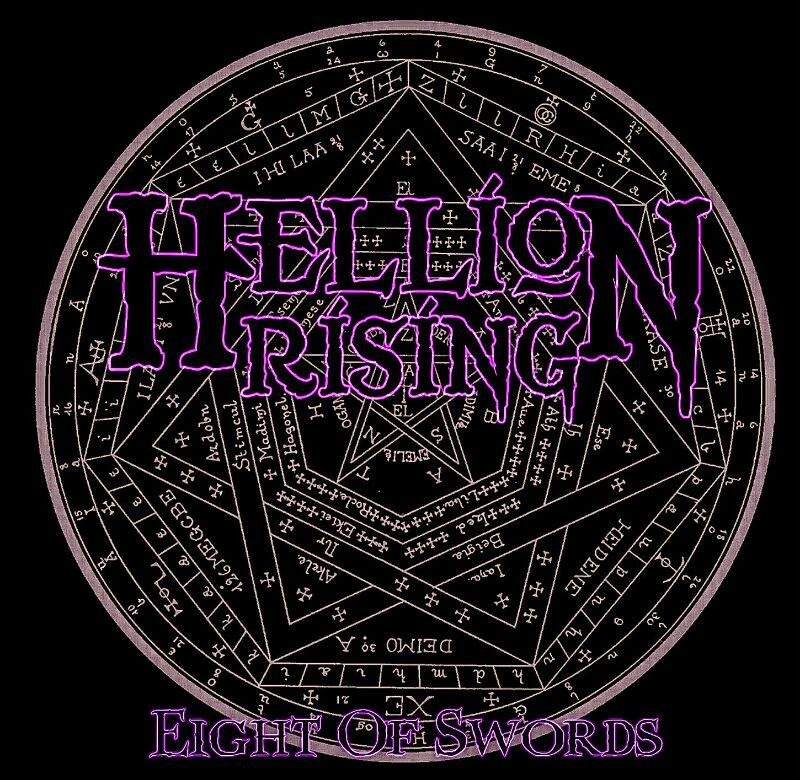 Hellion Rising have released their debut EP Eight Of Swords. The intro With Bricks of Bone and Blood as Mortar is a short atmospheric piece of music that silently creeps up towards your ears. Wretch Nail Tongue and Bereavement of the Chimes have both great riffs being floated on the waves, and the latter song has driving bass and double kick drumming with wild drum rolls. The Beast, and lets show our horns Goat Charmer, are similar in the sound and will have you begging for more, as they are addictive tunes. The last track Just For Tonight is more of a hard rock ballad, with some nice lead guitar work. The strength of their songs, which deal with disillusionment within life, is the usage of grizzly crunchy distorted guitars sawing away, while the rhythm section keeps a steady but interesting beat. The lead guitar is using effects to create different sounds and short riffs that fits in well with the songs. The vocals are at times cutting through to give you the direction of meanings to the lyrics, and can be deemed now as classic metal thrash style of vocal delivery - with the only difference you understand the words!